have learnt that they are bright, talented and trainable. They are now coming to demand to be allowed to minister in their churches. The classes have contributed not only to peace and stability in the churches but also within families and homes and even some men who used to beat their wives have now stopped. 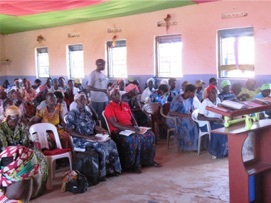 The Women Leaders have also come up with development and social programs e.g. keeping heifers and goats or vegetable or small fish selling for the benefit of the church and the community. Now the women are motivated to do ministry her work is easy. 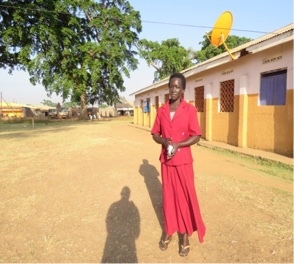 Jessica Anyaso of Orieta village parish, Kuju Sub County said that the training helped her to befriend and work together with other women in the church to start a women’s choir and to pool resources together as a church to acquire assets for development and a church as a whole e.g two goats and 12 hens and 30,000 UGX in the Women’s Department Treasury. There is hope to do more to acquire assets and develop the church. 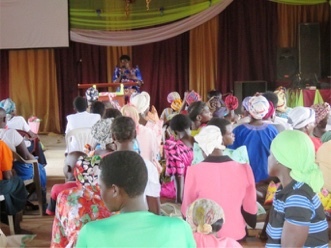 All of this enables the women to serve God without shame and reduces their dependency on the church and their husbands. Before the training Jessica would struggle to give sermons and was afraid to teach or stand up and speak in church as she wasn’t confident in her knowledge whereas recently when there was an evangelism program she was in position to lead and delegate responsibilities, something she would not normally do! Now she has more confidence she has also gained more acceptance from those she leads. 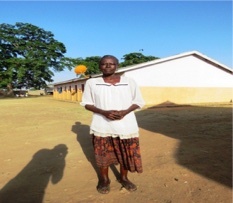 Janet Amongin is a women’s leader for Arupa branch Amilmil Assembly. 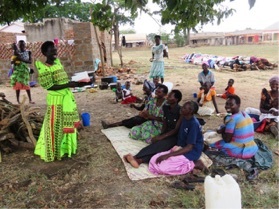 After the training, she began teaching other women on how to handle issues at home using a bible, development and praising and worshipping God. Women have now come up with development initiatives e.g. purchase of 4 hens that will multiply, 1 bag of groundnuts to be planted this year, and a collection of money worth 20,000. This amount is expected to increase because each woman contributes 4,000 per month. The plan is to use this money to acquire assets for the church such as chairs, goats and cows, and utensils like saucepans, plates, cups, trays and ladles. Now she preaches in crusades because of the knowledge she has acquired in the IBS training, something she couldn’t do before. She was a ceremonial women’s leader but all the work of the women’s leader fell on the hands of the pastor, who wasn’t able to help the women she is now able to. She now feels like a strong, knowledgeable and equipped leader in the word of God.